Brady is a father, artist, and musician living and creating in the beautiful rolling hills of central Kansas. Working mainly in professional grade spray paint and acrylic. He implements a variety of techniques to create large-scale murals, one-of-a-kind illustrations, and intimate canvas paintings. With a unique, contemporary style he draws inspiration from animals, people, history and the timeless prairie landscape. Brady has created several well-known public art murals in Hutchinson. Including the Hutchinson Clinic's Women's Center and The Boys & Girls Club Shadduck Park Location. 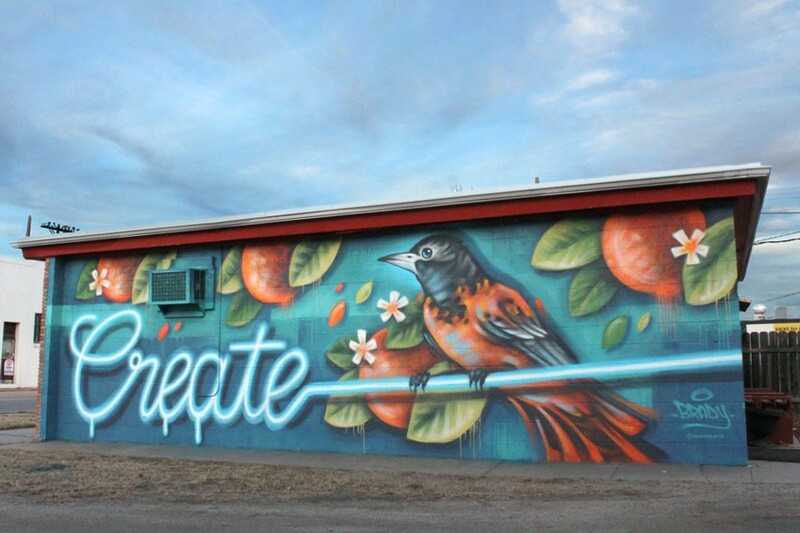 He has painted murals for the Kansas City Masterpiece Mural Festival, Tulsa's Habit Festival, Wichita's Avenue Art Days and The Plaza Walls Mural Expo in Oklahoma City. Saturday • June 7 • 5 - 7 P.M.